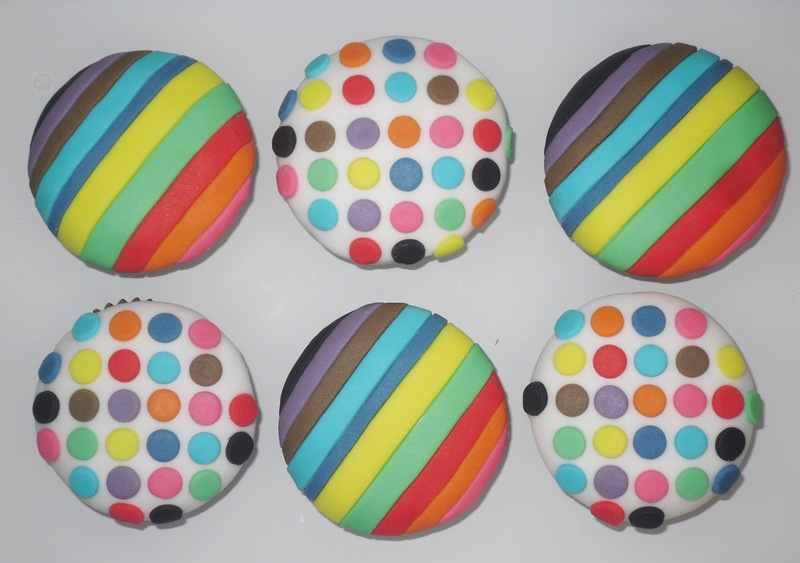 Pervy Cupcakes for those with a saucy side!! 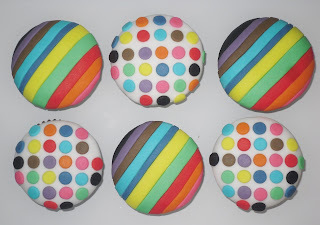 This has to be the perfect example of the customisation possibilities of the humble cupcake. Ordered as a birthday present for a friend turning 50, my customer explained that the birthday boy is a bit of a perv!!! I really enjoyed making these, although I had terrible visions of offending him but I've been reliably informed that he loved them, especially the knickers!! A brilliant example of the customisation possibilities of the humble yet delicious cupcake!! This has got to be one of my favourite cakes to make so far!! 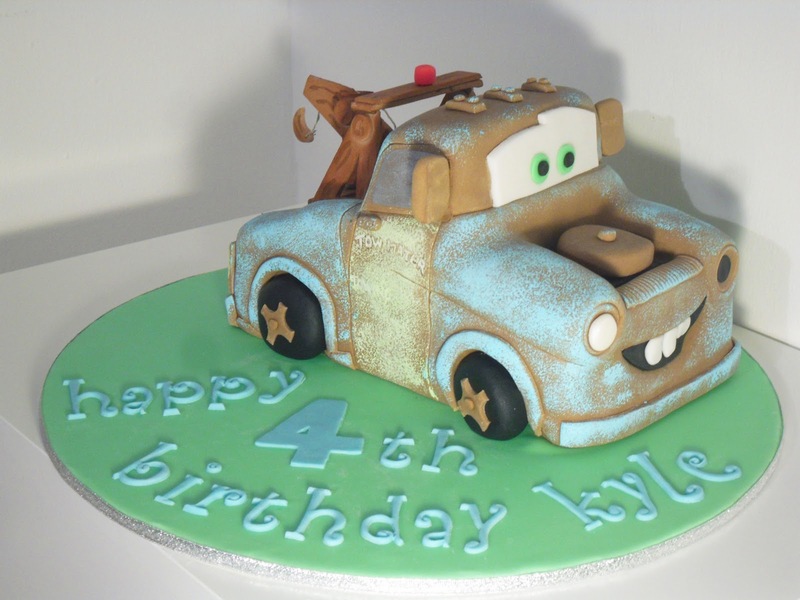 When my oldest and dearest friend's sister got in touch to order her son Kyle a 4th birthday cake I had no idea who or what Tow Mater was but by the power of google (Greyskull!!) I educated myself and accepted the challenge. He was so much fun to make, although I must admit to a few hair pulling moments, his towing equipment specifically!! So here he is, in all his glory, goofy smile and all! P.S. I still haven't had a chance to watch the film but it's definitely on my list of things to do now I've made friends with Tow Mater. 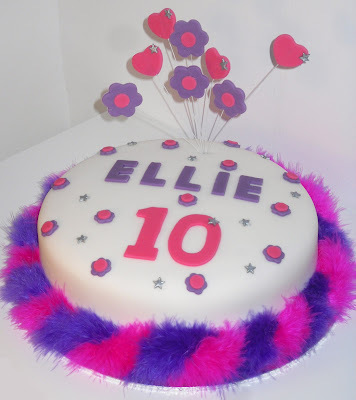 This weeks Coloured Bubble Cakery creation was to celebrate Ellie's 10th Birthday and the dawning of her double figures!! Ellie's mum told me it needed to be very girly, pink and purple with flowers and hearts and also suggested some very fluffy trim that I was able to find at my local crafty shop. Happy 10th Birthday Ellie, I hope you have a fantastic day! 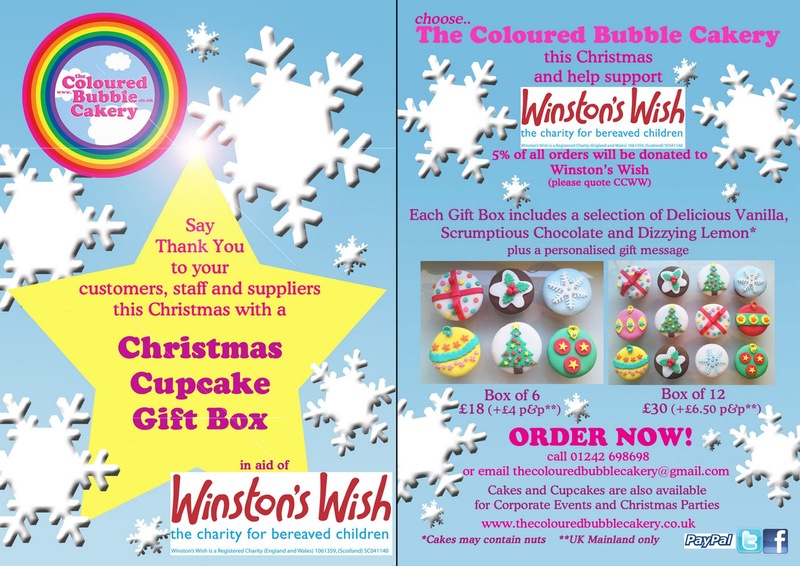 I'd like to take a moment to introduce you to my Christmas Cupcake promotion which includes a 5% donation of all orders to Winston's Wish, the charity for bereaved children. I can't wait to find out what the total donation will be! It may not be everyone's cup of tea, perhaps a little like a car convention might be for me, but this year's International Cake Show was well worth a visit. all the trimmings looking good enough to tuck into! How real does this look???!! For the more arty people... How about a dash of Gustav Klimt? Because life IS a rollercoaster!! 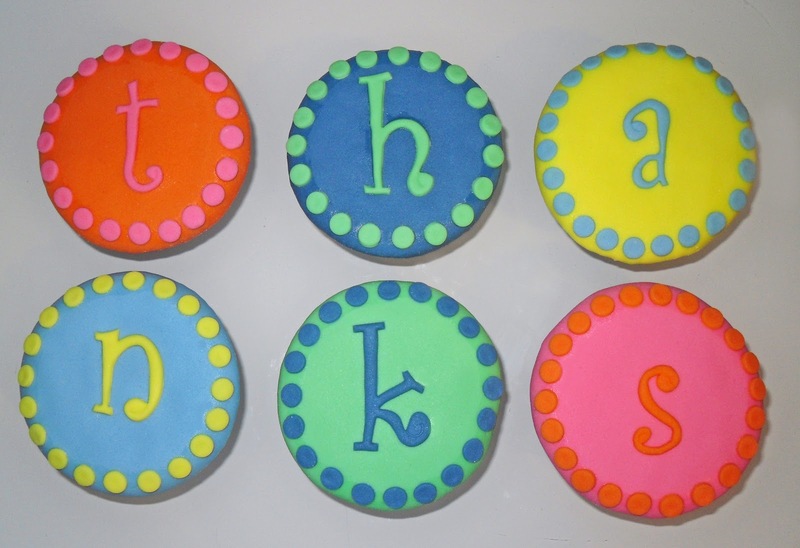 The Cakery is in Print once again!! 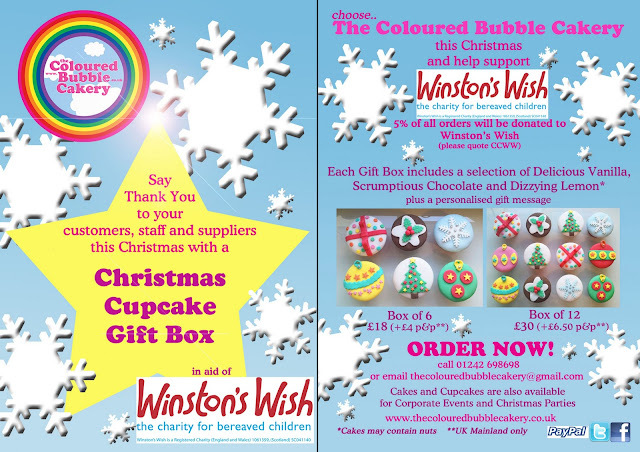 I am thrilled to be able to tell you that The Coloured Bubble Cakery appears in the November issue of Cotswold Style Magazine! 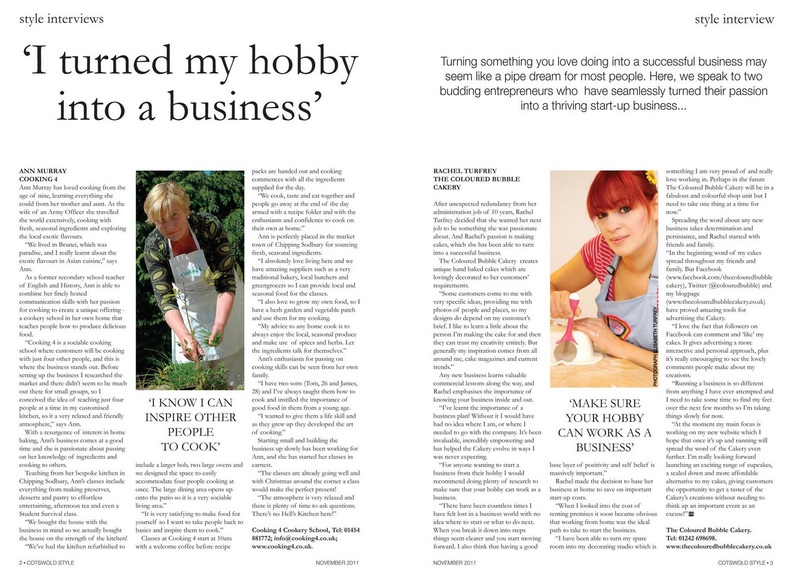 The article is all about turning a hobby into a business and once again I felt massively complimented to be asked to be featured. 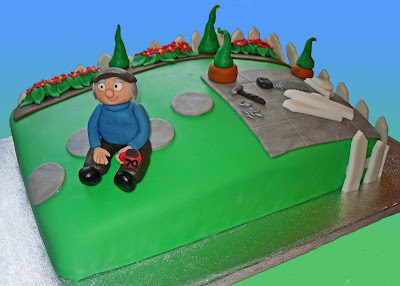 This cake was created to celebrate Brian's 70th Birthday. 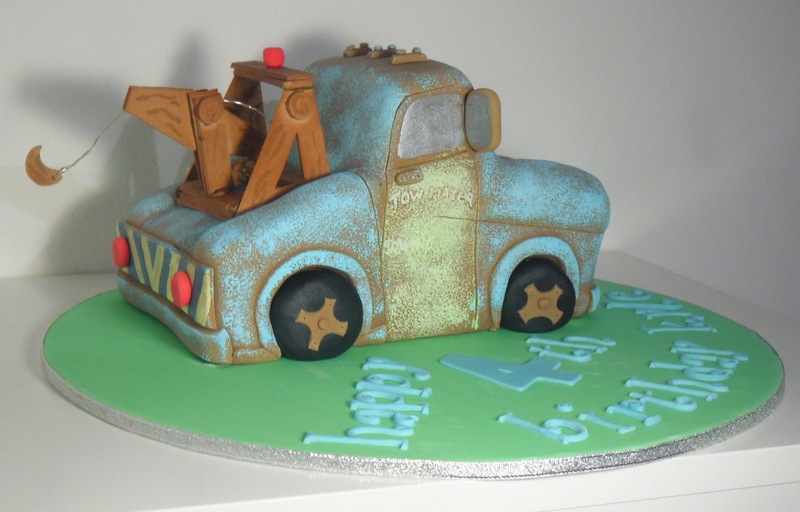 My client told me that Brian is a fence builder and that she would like his cake designed around that theme. OK, I thought, where do I start with this one?? Well with a big fat vanilla and jam sponge for starters! Man buildng fence...hmmm? Well how about man having a tea break from building a lovely white picket garden fence?? I've been told it went down a storm. 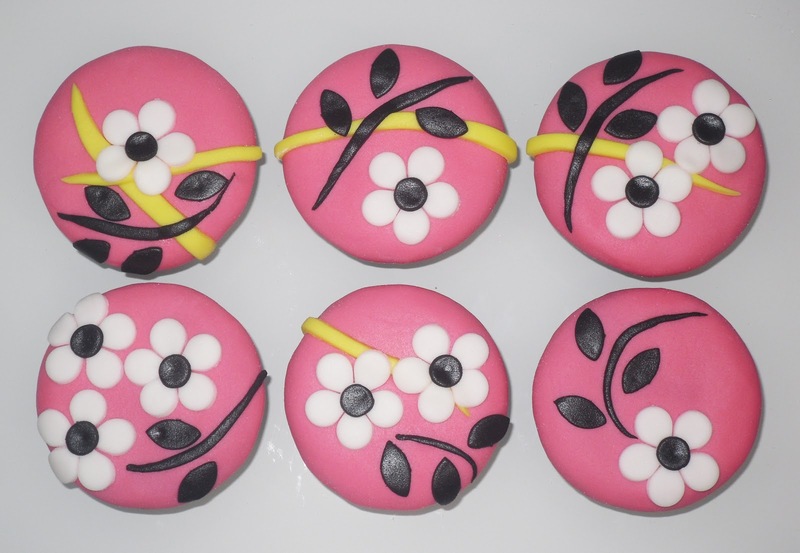 Here's a little update on the cupcake portfolio. More designs being created all the time.